The National Golf Buyers Association (a.k.a. 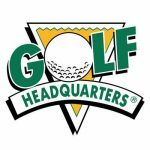 Golf Headquarters) group is proud to announce and welcome Mark Clavey of Chicago Bill’s Golf in Hanover Park, IL as a new member. Family owned and operated Chicago Bill’s Golf has served the greater Chicago area for over 20 years and is located at the Green Valley Driving Range at 26W101 Lake Street in Hanover Park, IL 60133. Thanks to its loyal customer following Chicago Bill’s Golf has evolved over the years and offers state of the art club fitting, lessons, full club repair services, and Toptracer Range technology. With the latest addition of Mark Clavey, this increases membership in the N.G.B.A. to 45 members with 75 locations.